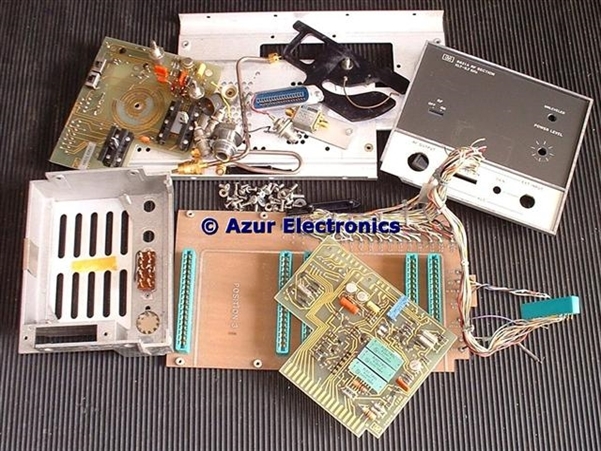 Motherboard 08621-60009 including wiring to rear panel components, including 20 way socket and to 36 way Amphenol Plug (not included). 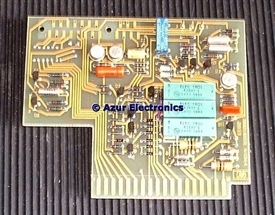 PCB 08621-60010 with gold pads on top left corner which mate to connector on the back of the 60041 pcb. 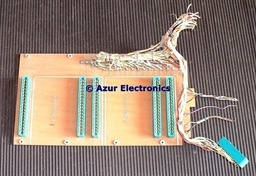 PCB 08621-60041 with 2 switches and 2 variable resistors used on Front Panel. 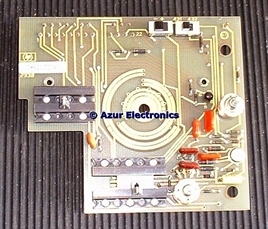 Centre is used for switch for 70dB attenuator option which was not fitted. 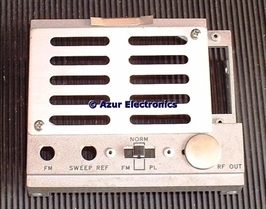 Rear Panel with 3 position switch and blanking plate for optional RF output. 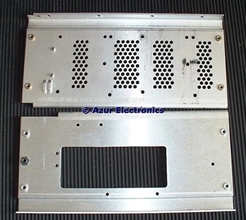 This Rear Panel is common to all 86200 series RF Plug-In's as well. Left and right hand side panels. 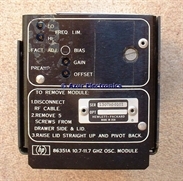 HP 86351A 10.7-11.7GHz Oscillator Module.